Was pretty excited to see that big box come down our driveway. We was a little surprised with how much that had to be put together but it was worth it. Our daughter enjoys riding in it and to be honest she didn't even want to come out! Very impressed with this product. My first time purchasing anything from Big Toys Green Country. Its a legit website no scams, great customer service, shipping was fast and on time, I've only had the Mercedes G55 for a week so i will have to wait and see how things go but over all very satisfied with my purchase. Big Toys Is The Best!! First off - I called Car Tots and Trend Times about purchasing this vehicle. I could never get anyone to talk to me at trend times and with Car Tots, the gentleman was very nice, but ultimately an idiot. He said he couldn't match the price from BTGC nor the 1 year warranty they offer. All he offered was free shipping (which comes standard from BTGC). Very satisfied with my purchase to say the least. These guys seem to be number 1 for a reason and they've got my vote. Way to go Big Toys! 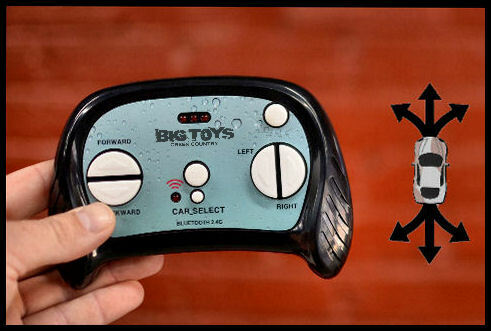 Stop the search here and purchase from Big Toys - they're specialists know the products forwards and backwards and make your buying experience an experience to remember. Looks as expected in person. Very easy to assemble. Functions as amazing as it looks! Click the button below to add the 12V Mercedes G55 fully loaded Ride On SUV w/ remote + MP3 & DOORS -Black to your wish list.